Lord, bless the moms. surround them with your tender care. thank You God for granting mamas strength, health, joy, grace, laughter, refreshment, freedom from guilt, and hope for the future. 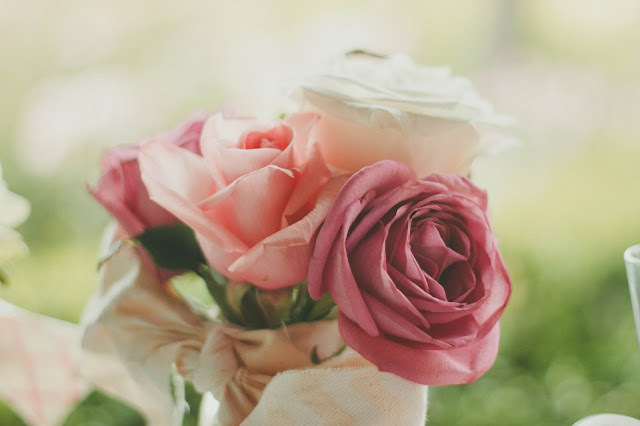 thank You Father that moms everywhere in all walks of life are stirred today with a hunger to know Your love, to be closer to You, and to follow You. thank You Lord for opportunities for me to be a blessing in the lives of other mamas in my life and around the world. in Jesus' name, amen. WRITE HER A LETTER // Embrace Grace is an organization that helps brave mamas choose life and get plugged into a spiritual family so they can be saved, discipled, mentored and be a part of a community that loves them the way Jesus loves. the ministry organization has an initiative called Love in a Box. boxes are distributed to pregnancy centers nation-wide and given to young, single women with positive pregnancy tests. the box is full of gifts that will inspire hope and impart love to a mom-to-be that may be scared for her future. each box includes a Fearless Journal and pen, a Bump in Life book, a baby onesie, and testimonial letters of girls that chose adoption and chose to parent. my favorite thing in the Love in a Box? the Brave Girl letter written by you and me. this is how you bless a mama. write her a letter. take 5 minutes of your day and speak into the life of a mom that could possibly be contemplating a life or death decision. tell her what you would need to hear. speak to her heart, mom to mom. encourage, uplift and inspire her to choose life and to get plugged into an Embrace Grace support group at a local church. click here to download the Brave Girl letter template (shown above) and mail it to Embrace Grace, Inc. Attn: Love in a Box, 700 W. Bedford Euless Rd., Ste. 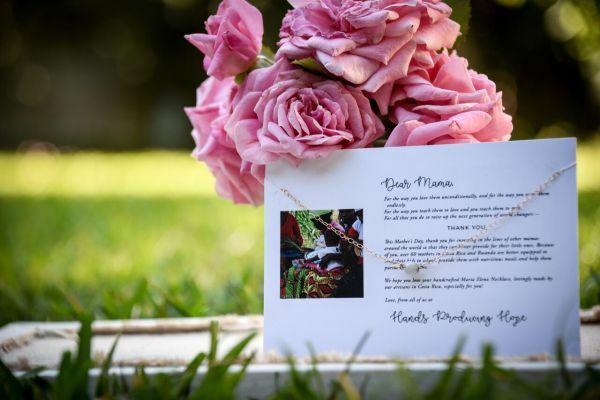 G, Hurst, TX 76053. your letter will be tucked inside the gift box and has the power to bless a brave mama. it will mean the world. PUT ON YOUR PEARLS // if you know me, you know i love pearls. even more than diamonds! there's just something about the purity and rarity that gives pearls a unique beauty. well, on May 16, i am wearing my pearls for a global purpose. join me on May 16 and #PutOnYourPearls to symbolize and demonstrate our unity for women around the world. Mercy House Global is coming alongside other ministries to empower women, collectively raising money to be the hands and feet of Jesus. the women that these ministries support have endured unthinkable suffering in their lives and often feel forgotten. this is how you can bless a mama. wear your pearls and give your dollars and share on your social media that, like a pearl, SHE IS PRICELESS. 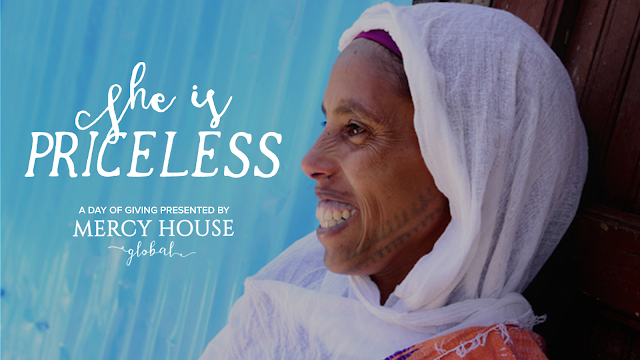 get your pearls ready and click here to show your support on May 16: http://sheispricless.org. CHANGE THE WORLD // give her a gift that literally has the power to change the world. Mother's Day is coming up. bless a mama by giving her a gift that has a ripple effect of blessings beyond her. these Mother's Day gift bundles from MH provide fair jobs for artisans who live in oppressed and impoverished countries and support maternity homes in Kenya that rescue teen moms and their babies. plus, these gifts are unique and beautiful and thoughtful. this is how you bless a mama. think about her + the greater good. shop here https://mercy-house.myshopify.com/collections/mothers-day. goodness, how sweet is the $8 gratitude bracelet? love. FEED HER BABY THE BEST // introduce the mamas in your life to Amara Organic Foods. trust me, it'll bless her! because Amara, now available at Whole Foods, is the next best thing to homemade baby food. no more chopping veggies and stacking freeze trays and Pinterest boards of sneaky baby food recipes. 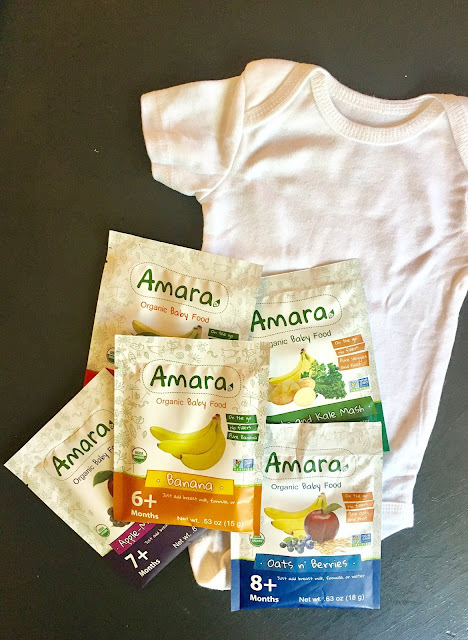 Amara is organic, yummy, real, nutrient-packed food for little ones ages 6 months and older, in a pouch that maintains the integrity of the food inside. no more overly processed baby foods in jars or plastic pouches. just mix the Amara baby food with liquid and serve your tiny foodie. this is how you bless a mama. make life with her little one a little bit easier by showing her a shortcut that doesn't sacrifice quality. PRAY FOR HER // prayers might not seem like something "tangible" but let me tell you something, friend, prayers have more heavenly weight and impact than you or i can imagine. i was recently part of a relentless group of prayer warriors who prayed for moms by name every day of the month. 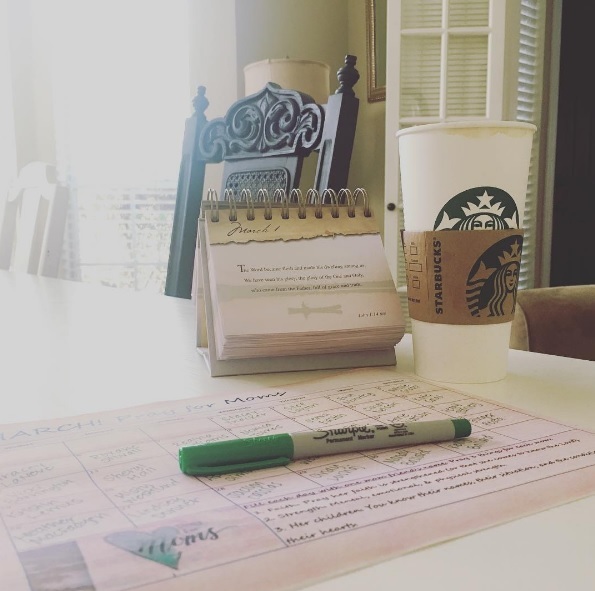 with the Holy Spirit's leading, i wrote names of moms i know in each square of the March calendar and committed to praying for them every day. it was ridiculously beautiful how God would give me a name, a need, a prompt, and directed my prayers. sometimes He would kindly show me a need THE DAY BEFORE a mom's name was on my calendar. and there was one time He amazingly revealed how my prayers were felt THE DAY AFTER a certain mom's name was on my calendar. sometimes i would let a mama know i was praying for her. mostly, i just kept it between me and God. try this. bless the mamas. for the next 7 days, write out the names of 7 moms to pray for, one mom on each day. watch God work in her life and in her heart in the awesome ways that He does. this is how you bless a mama. you talk to God about her. you go to the throne room for her. intercede on her behalf. stand in the gap. lift her up in Jesus' name. bless her with your fervent, heavenly tangible prayers.